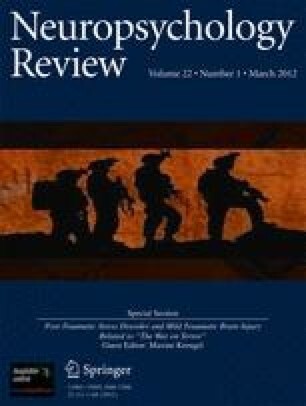 Posttraumatic stress disorder (PTSD) and mild traumatic brain injury (mTBI) are highly prevalent among Veterans of the conflicts in Iraq and Afghanistan. These conditions are associated with common and unique neuropsychological and neuroanatomical changes. This review synthesizes neuropsychological and neuroimaging studies for both of these disorders and studies examining their co-occurrence. Recommendations for future research, including use of combined neuropsychological and advanced neuroimaging techniques to study these disorders alone and in concert, are presented. It is clear from the dearth of literature that addiitonal studies are required to examine and understand the impact of specific factors on neurocognitive outcome. Of particular relevance are temporal relationships between PTSD and mTBI, risk and resilience factors associated with both disorders and their co-occurrence, and mTBI-specific factors such as time since injury and severity of injury, utilizing comprehensive, yet targeted cognitive tasks. Remedy Health Media Healthcommunities.com (2010). “Traumatic Brain Injury (TBI) Overview, Incidence and Prevalence” on http://www.neurologychannel.com/tbi/index.shtml; website accessed April 2011.